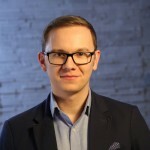 Bertalan Meskó, MD, PhD is a medical futurist who envisions the next trends for companies and governments in order to make sure a mutually positive relation between the human touch and innovative technologies will rule the future of healthcare. He is an international speaker, consultant, geek physician with PhD in genomics, and founder of Webicina.com. He is the author of the recent book „The Guide to the Future of Medicine”. He has given hundreds of presentations from the Yale, Stanford and Harvard University to the centre of the World Health Organization and the Futuremed course organized by the Singularity University at NASA. His work was mentioned by CNN.com, the World Health Organization, National Geographic, Forbes, TIME, BBC, the New York Times, and Wired Science, among others.